Kiki, can you share your background? In 1982 I was a theater student at NYU, and had gone to a great deal of work to convince my department to find a qualified voice and speech teacher. So imagine my pleasure to arrive in class one day to meet a warm and enthusiastic new teacher. My squeaky wheel-ing had really paid off. But after a few moments I was livid when she announced, let’s begin our class with some yoga. Yoga! I didn’t want to learn Yoga, I wanted to recite Shakespeare with enviable eloquence and technique. As our class unfolded, not only did I witness a shift in my fellow students but I too had shifted. Ease, calm, joy, infused my mind and body and I knew that yoga needed to be my daily prescription. That was thirty-three years ago, and I have practiced near daily since that day. At the end of each class I added yoga notes to a notebook and then woke early before class, and after long nights of rehearsing or restaurant work, and did my morning yoga. I soon transferred to Experimental Theater studies and was introduced to Sun Salutations, head standing, shoulder stands, techniques that were being used to stretch the physical, vocal and expressive vocabulary of the performer's “instrument”. Now these went into my book, and became part of my yoga practice. In my early 20s I read Yogananda’s Autobiography of a Yogi and signed up for the Self Realization Fellowship’s lessons which came in the mail every week. I added the energization exercises as well as sky gazing and eye exercises into my practices. It was a yoga mash-up. I think it’s important to say too, integral to these practices, I was also passionate about vegetarianism, veganism and natural health and was reading everything I could on these ranging from raw food pioneer Anne Wigmore to Jethro Kloss’s Back to Eden and macrobiotics. ​As for my background? I was a nineteen year-old angst ridden, literary, expressive and bold girl who longed to engage in story through theater, film, dance and writing and under great mentors and directors. I yearned for creative collaborations and to live in my romantic notion of a bohemian community. And in moving to the East Village in 1983, that was exactly what I did. 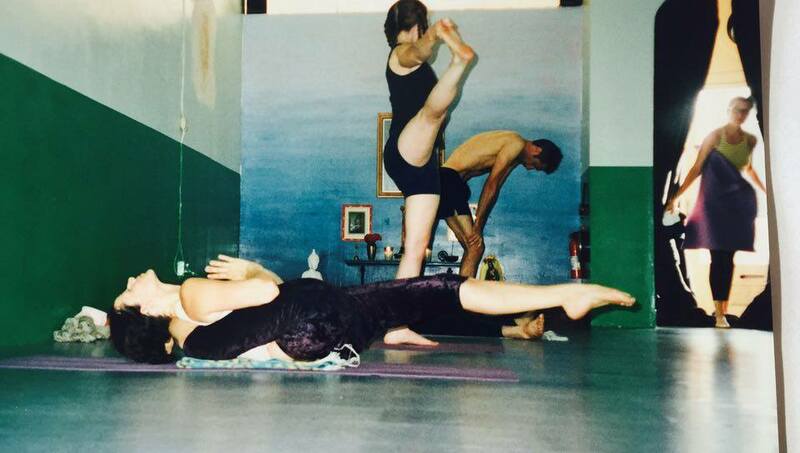 How did the Ashtanga practice find you? I first met Sri K. Pattabhi Jois at Jivamukti Yoga where I was a student and teacher. 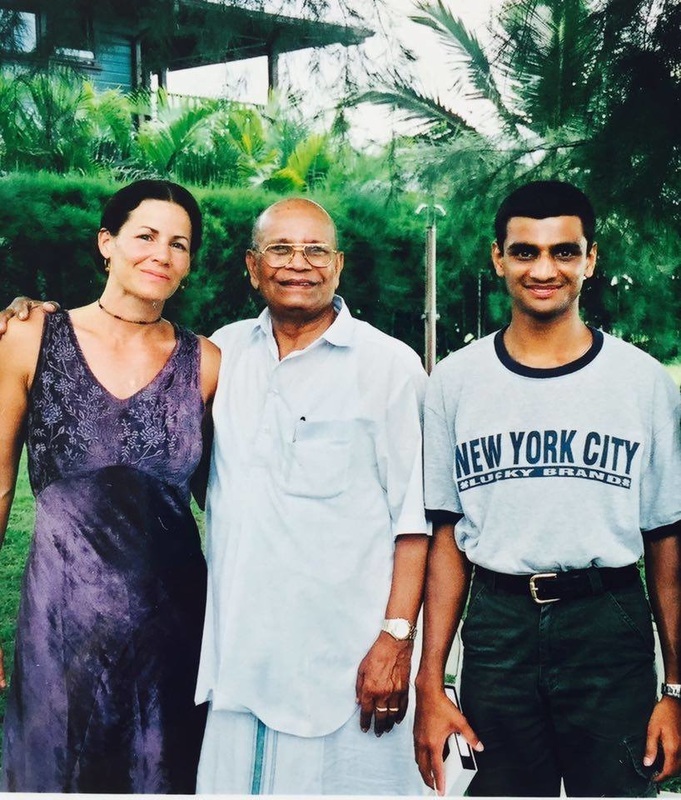 Sharon and David, the founders, had studied with him on their most recent visit to India and it impacted every class they taught following their return. A few of my close yoga friends and co-teachers, including Ruth Lauer and Eddie Stern, had studied at his small Mysore school as well, and they were deeply affected by the experience, practice method, and techniques. 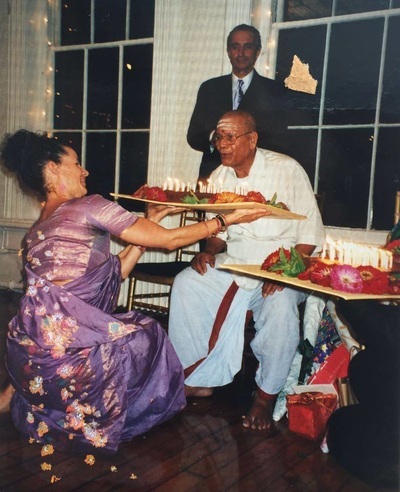 In 1993 Jivamukti hosted Jois for a five day workshop. I can say, although I did not realize it at the time, this man and these classes altered my life’s course and transformed my very mind. In total, I travelled to Mysore, India thirteen times. Once for as long as six months and once for only three days to sit by Guruji, as I called my teacher, in the final week of his life. But most study trips were three months of daily early morning practice and afternoon gatherings. I also shared precious trips with he and his family on pilgrimages to holy rivers and temples as well as to his boyhood village where his brothers still lived and where he built and maintained the puja for new and ancient temples. I followed him around the US on his many teaching tours and and twice hosted him at my shala in Los Angeles. As a teacher that has spent considerable time with Guruji, how has he shaped your own style of teaching? When I began practice with Guruji there were very few schools in the US, or worldwide, teaching this method. He told us, you go home and take self practice every day and next year come back for three months. No problem. Self practice meant, you practice all by yourself everyday. And so Ashtanga came to be known, especially in UK and Europe as self-practice. Which confuses many into thinking that Ashtanga means just do whatever you want. Yet, this method has such solid technique and endless degrees of refinement for breath and mind. When I left Mysore to head home, I was always holding back tears, so sad to leave him, and thinking, what if I never see him again? So he’d also say, don’t worry, don’t worry. Next year you come, I will be here. Guruji gave me his blessing to teach. When he did this he said, you teach this method, don’t change it. “This method” was his Mysore method and what we now call Mysore Style. Guruji’s teaching influenced me in every way. I studied with him longer and more intensely than any other teacher. I wanted to teach his method as he taught it, to learn the sutras and share them as he did, to understand the yoga sciences as he spoke about them. To observe and experience his adjustments. To be firm and compassionate. To practice and teach Tristhanam and Vinyasa. You see then we had Guruji to answer every question: when to teach sarvangasana, why take off for ladies holiday, when to add headstand, what considerations for pregnancy, post surgery, knee pain, poor digestion? 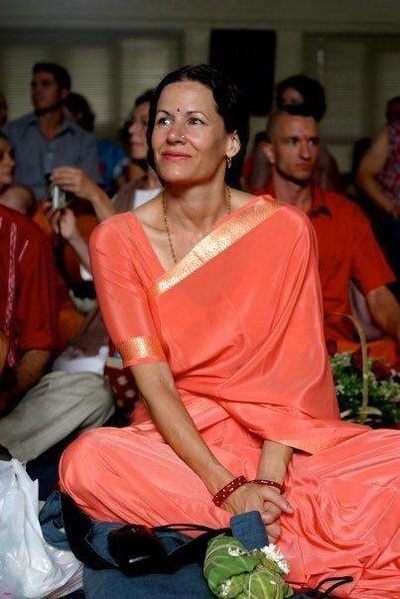 What is bhakti? Who is Isvara? Guruji spoke on health, Ayurveda, self care, food, which nostril predominates for sleep, which foot leads stepping into a temple. His knowledge was vast, incomparable. Once he told me to take castor oil bath for pain. And later when others asked him about it, he sent them to me for instruction. Finally I had so many emails, I asked him if i could post an article online. He gave his approval. That was his teaching too and I teach that. How important was oil bath to Guruji? We take off Saturdays from practice because that is his traditional oil bath day. When he travelled to teach, his luggage included a heavy, large, old fashioned trunk packed with unfiltered castor oil and the herbal powders for removing it - for the whole family for the whole journey. He told teachers, it is especially important to take oil bath. Today the aspect of his teaching that influences me most is that this Ashtanga Yoga method is Universal, anyone can do it. He said this over and over. But if we sit inside our schools and wait to teach whoever happens by and steps in, then we are not getting to the everyone, to the Universal. The Yoga Sutra on the practice of the Yama (ahimsa, satya, asteya, brahmacharya, aparigraha) says that the practitioner who commits to these takes a Great Vow to practice these regardless of origins in birth, country, period of time or circumstances. To apply these universally. This means the end of preferential treatment. This is difficult. We want to favor some and exclude others. But he set the example; Guruji taught all of us from far and near. His boyhood dream was to share his teacher’s method globally. He said he imagined one day he would have a big shala with people coming from every country all over the world to learn. And he did that! We have a singular asana practice with an infinite multitude of expressions through different bodies. As a teacher, how do meet the student where he/she is at and maintain the integrity of the practice? What principles do you keep in mind when you offer modifications for individual students but not change the practice so much that it’s beyond recognition? That Ashtanga Yoga is an asana system - is a common misperception about Ashtanga Yoga. Here a part is mistaken for the whole. So if not an asana practice, what is this whole Ashtanga Yoga? Ashtanga Yoga is a complete system of which asana is one of three components – this is called Tristhanam. And asana is understood to be firm, steady, stable. Even tight. Guruji told us “tight your waist”, “tight your thighs”. He demonstrated for us, as he held his arm and firmed his flesh to the bone, that this was the quality for the whole asana, and that this firmness impacts and heals the nervous system. He also told us that “just bending” was not asana. That correct asana comes from correct breathing. That it has a firm foundation. That asana is not possible without vinyasa. So in addition to Tristhanam (Ujjayi breath with two bandhas, correct gazing points called drishti, and firmness of asana) we coordinate all of these in a precise breathing movement system. And to do all this, to try for all in each and every moment? I often say it’s like juggling a chainsaw, a flaming torch and a butcher’s knife; our mind cannot waiver from the task at hand. Which brings us to inclusivity. We do not teach yoga to the body, we teach the mind. Yoga is for the mind, Guruji proclaimed over and over. If an individual can breathe and if they have the interest, he or she is a candidate to learn Ashtanga, to learn this Universal method regardless of age, background or ability. Recently I worked with a student, whose body, following a severe road collision, was injured as a quadriplegic and amputee. She had been on a respirator for seven months and could not breathe independently. Her fear was so great, she refused to wean from the respirator. The rehab program’s psychiatrist had witnessed the transformational yoga I was sharing with a Spinal Cord Injury community and invited me in. I taught the patient to breathe, demonstrating and coaching her in Ujjayi breath, and slowly she came to override the rapid rhythm of the ventilator. She practiced on her own throughout the rest of the day, and showed me her progress the following afternoon. Then, along with the respiratory technician, and a small core of support, using her Ujjayi breath, I coached her off the ventilator for five minutes. The longest five minutes of our lives! I could not take my gaze away from her face, where I witnessed each terror rise up in her eyes and furrow her brow, and I whispered her through to the goal and to her success. It was an emotional journey for all of us.That I could be in such a unique situation to share this method? That is the grace of the Guru. Guruji seized our minds! And then he taught them. At the launch of a program for Spinal Cord Injury, I was introduced to the Commissioner for Disability from the Mayor’s office. I was so offended. As if I could or would adapt Yoga! He himself has spinal cord injury and is the first commissioner for disability ever appointed in New York City. I cannot think of a more inclusive form of yoga. Mysore teaching method is teaching the individual in a group setting. And it is the mind of the individual that we speak to. In the late 1990s, I wrote a definitive description of Mysore yoga for my shala in LA, and later many asked for my permission to use it on their website, to translate it into their language. If you hadn’t been to Mysore, it was hard to put into words. Teaching the individual in a group setting, is part of what I wrote. Kiki, as a long term practitioner, what has a consistent, daily practice that has weathered changes in life done for you? Yoga Sharanam Mama. Yoga is the refuge. The shelter. And everyone is welcome. When we go to Mysore, when we sit before the teacher, ready to learn, we are so full of hope and faith, so inspired, so excited to be alive and know this Yoga knowledge, Yoga Community, Yoga Tradition and daily practices are transformational. To go on a pilgrimage in India alongside tens of thousands of seekers and devotees, shifts reality, our very minds shift. And then we begin to ask the same question that the yogis asked for millennium: “Who am I?”. Daily practice over decades is not some glamorous “yoga selfie” session day in and day out. It is part of overall conscientiousness, wellbeing and lifestyle like shopping for organic foods and making my own meals, paying bills on time, brushing my teeth every day. Do yoga practice, chant, listen to bhajan, study. Yoga becomes a lens through which we perceive life and act in our day to day. ​In Ayurveda, in trying to understand the nature of a thing, one asks, can the sweetness of mango be separated from the fruit? Yoga becomes like that. It is no longer separate. Guruji was such an inspiration in how to live. He demonstrated so many paths and techniques for joy and knowledge. At the end of his life he was deeply absorbed in his home puja, in the God, the mantras, the offerings. His home was filled with loving Yoga students, his great grandchildren were dashing about and all his family were gathered in conversation. He would smile at us, some days ask a few questions and then, sitting among us, turn to the puja, and be completely alive to it. Over the years, in conference, he would often ask, “Do you see God everywhere?” And as a group we knew we didn’t. But in that final year, watching him on those lovely visits, it seemed to me, his mind was Yoga Mind, and indeed he saw God Everywhere. I am just now understanding the seeds, their fruits and their ripening. In other words: karma. It is a law of nature. It cannot be pushed or undone or speeded along. At the end of our practice we renounce the fruits of merit that will ripen from this daily act and we offer them for the wellbeing of others. That is the meaning of the shantih mantra that begins Svaasti prajabyah. The karma of our daily practice, these moments form seeds, these seeds of today bear their fruits in the future. These seeds today, tomorrow, every day, every day, every day, do not bear fruit for a long time. That is why we must practice a long time. Sa tu dirgha kala nairantarya satkara asevitah drdha bhumih. Guruji practiced for 80 years, and for more than half a century he was in the class teaching. He facilitated change and transformation in the present moment day by day in the hard work of commanding a room of students with the physical effort of lifting and shifting bodies, over and over, one by one, up and down, up and down, traversing that big room, calling out - you wait. You why? You breathe. Don’t worry. Yes, yes correct, correct. Every afternoon, every conference he sat with us, sharing the science, the history, the purpose of yoga. And at the same time, all the while he was planting seeds, not of a tree, but a forest, a forest of universal system of yoga with fruits that ripen for decades to come, that have scattered seeds around the world for future generations. Today tens of thousands nourished by the sweetness of these fruits. We saw a man, right there in front of us, an old man, working hard, but we could not see in that same moment he was effecting change over the globe for generations to come. Sri K. Pattabhi Jois shared from the Bhagavad Gita that a human birth is precious and rare. Take Yoga he said. Don’t waste this life. We are blessed to be part of his global family, we are charged as its ambassadors for a mission of universal healing and wellbeing. And that too is the grace of the Guru.